Get the Whole Story About Your Next Home by calling Next Step Inspect, LLC today! Are you getting ready to purchase a new home in the Farmersville or Miamisburg, OH areas? Our buyer's inspection services will ensure that you're making a smart investment. Next Step Inspect, LLC offers top-notch home inspections and radon testing. Our reports are extremely thorough, and we'll walk you through each issue we find in the home. We also offer termite inspections. Call now to schedule a home inspection or radon testing in Farmersville & Miamisburg, OH. Do you know these three things about your prospective home? Is there radon present in the home? Radon is a colorless and odorless gas that can cause major health problems. Schedule your radon test with us today. Are your appliances in good condition? We'll check every appliance in the home. Is your well water safe? We also offer well-water testing. 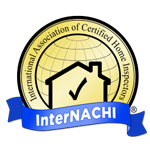 We'll inspect your home thoroughly-we check everything from the basement to the roof. We'll take a look at the attic and crawl spaces, too. Call Next Step Inspect ASAP to schedule your home inspection in the Farmersville & Miamisburg, OH areas.